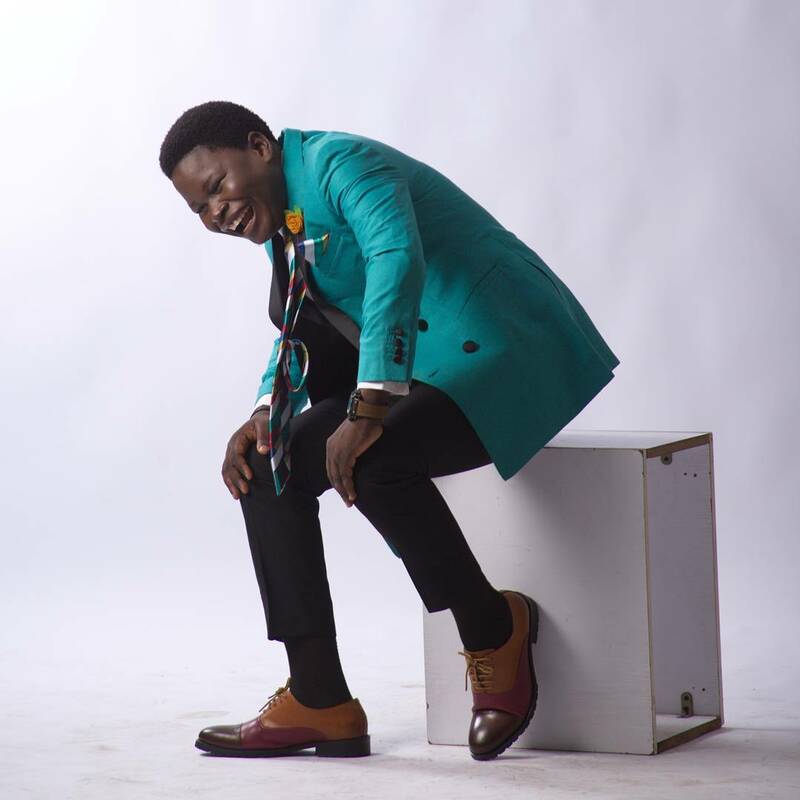 Contemporary African gospel musician, Adejumobi Oluwatosin aka Tosin Bee, boasts of many years of excellent performances, song releases and lots more. In this interview, the multi-talented artiste shares his success story. Tosin Bee is my stage name coined out of my surname. My full names are Adejumobi Oluwatosin. At a point, I started bearing many names that weren’t really sitting well. In the long run, I met someone who was supposed to be my manager at a time and we thought of a name that’s unique and will go well with my art. So, we thought of coining something from my names. We took the ‘Tosin’ from my name and the ‘Bee’ from Adejumobi. That’s how the name Tosin Bee came about. I have been in music for sometime now and I started out in the choir. While in the university, I was the music director for my fellowship, and after school I started music fully and here we are today. I do African gospel music with some contemporary blend into it. So, my music is all encompassing. People outside Nigeria can have a feel of it and enjoy it, but ultimately it’s gospel music. Tell us more about this genre of music? It is highly percussive, as we have the talking drum, the drum set, shekere, omele and other local instruments. On the contemporary side, we have the keyboard, bass guitar, lead guitar and the saxophone. It’s a fusion of everything. Tell us about your new single, Yes Sir? The song is just my own way of praising and honouring God. A line from the song says ‘I salute the holy commander’, God is the Commander-in-Chief of our destiny and universe. He knows my end from the beginning and he determines the course of my life. All I am saying is that even if the devil or someone tries to do anything in the face of adversity and challenges of life, I still salute the one that commands me. Can we say music has been your calling from childhood? I would like to say that because some people will say they have been singing from their mother’s womb, but it’s been in me from childhood and my grandfather was a musician. However, it wasn’t really developed until when I was a teenager. Which artistes have you worked with so far? In terms of recording, I have worked with Nosa, Mike Abdul, Big Bolaji, Big Bob and quite a number of artistes and they were all fantastic. It was cool working with them. Beyond recording, I am also a performing artiste and I have been on stage with Tim Godfrey, Frank Edwards, Tope Alabi, Eben, and Onos all from whom I learned valuable things. For me, music is a calling. I didn’t just wake up one day and say, because I didn’t have any job, let me do this. So, it’s a calling. I studied English Language and after that I went into Public Relations. So, this is a calling for me and it wasn’t like I forced myself into it. But I believe that I have an assignment and God has called me to do this. I believe one of the assignments is to use music to liberate people and win souls, and depopulate the kingdom of hell thus making Jesus more popular. I believe that’s the whole essence of why I am in music. What makes Tosin Bee exceptional? First of all, if I’m not sounding too spiritual, I would say it’s the grace of God on me. Sometimes you may have all the skills in this world and if you don’t have enough grace backing it up, you may not be able to travel far. Secondly is the fact that I am versatile beyond the fuji thing, but like I said, I do contemporary gospel music, as it’s a fusion. I am able to blend the two together, which is rare. That’s one of the things that make me unique and special. What’s your relationship with the Redeemed Christian Church of God? I am a full-fledged member of RCCG and a worship leader, and to the glory of God, the church has a record label, One Hallelujah where I am signed as an artiste. I see myself as an integral part of the fold and I carry the banner of Christ like I carry the church too. I see myself as a tool of evangelism. So, as the church is growing, the Kingdom of God is growing too. What’s your advice for up and coming gospel artistes? Whatever you are doing, don’t set out for money, which is obtainable in every field. Money will come but you must put the structures in place first. Work on yourself very well, carry the right values and make sure you have the things people would look for. One thing that really works in the gospel field is the anointing that will make you go far. So, it’s best to seek for the anointing. And the anointing can only be gotten if you have the right standing with God, and definitely the money will come. Whatever you are doing, do it well and look out for excellence in all you do. How do you maintain your youthful look? Funny enough, I felt that it wasn’t a cool thing, as people saw me as a small boy. But I now realise it’s actually a plus and I think it’s God and the way I take care of myself. Recently, I changed my hairstyle from Afro, but these are calculated moves. Now, it’s a new style but beyond that, I have the youthful look. Personally, I have a taste for beautiful things, as I like to look good. When I spot anything that’s good, I go for it. What’s your biggest aspiration as a gospel artiste? When I get to the point that when I sing, the lame starts to walk, the blind gets to see and the deaf starts to hear, I think I am okay. How do you deal with women? I try to be very careful really. As an artiste, you have lots of ladies around you, but I try to be very careful so I won’t lose focus and won’t go off track. And as regards settling down, pretty soon I will.